U.S. Closes Consulate In Basra, Citing Iran-Backed Violence The State Department is temporarily closing the U.S. Consulate in the southern Iraqi city and evacuating all diplomats stationed there, following a rocket attack early Friday morning. 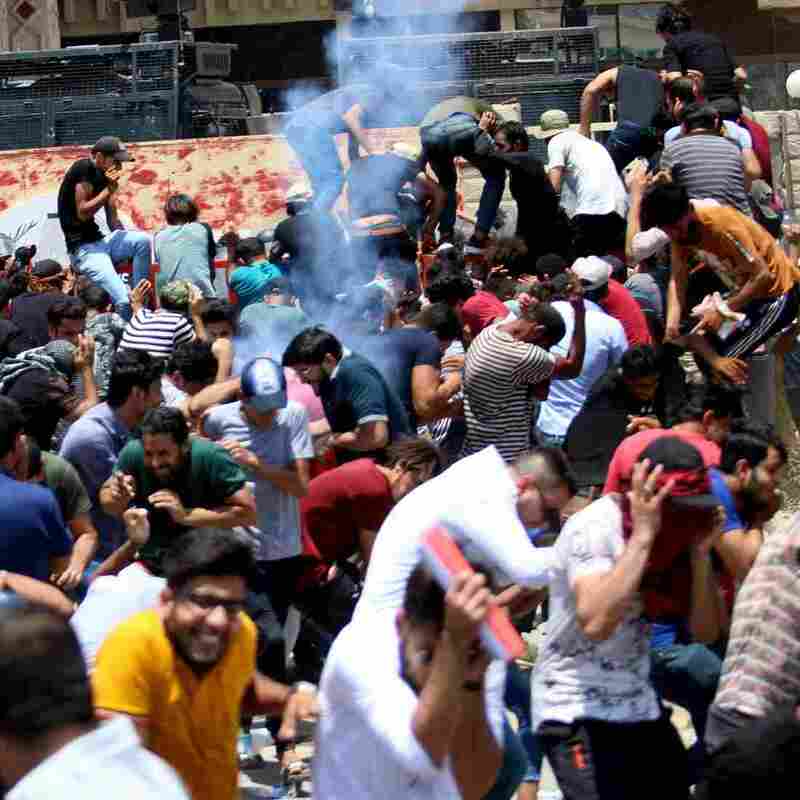 In a statement released Friday, Secretary of State Mike Pompeo cited "repeated incidents of fire" from Iranian-backed militias. "I have made clear that Iran should understand that the United States will respond promptly and appropriately to any such attacks," Pompeo said. The Basra airport was also the target of an attack earlier this month. NPR's Jane Arraf reported that according to Iraqi security officials, the attacks didn't land on the U.S. Embassy or Consulate compounds. There were no injuries or serious damage, but the White House, in a statement, called them "life-threatening attacks" against its diplomatic missions. "Iran did not act to stop these attacks by its proxies in Iraq, which it has supported with funding, training and weapons," the White House said. Basra hosts one of three U.S. diplomatic missions in Iraq. It is the country's oil capital and main port but has been battered by successive wars and neglect for decades. After the U.S. invasion in 2003, Basra fell under militia control and as a result, there was rampant corruption. Nasser Jabar, one of the protesters, told Arraf, "We are tired of their killing. We are tired of their corruption. All the parties in the government now — they are corrupted, all of them." "We want to change them," he added. 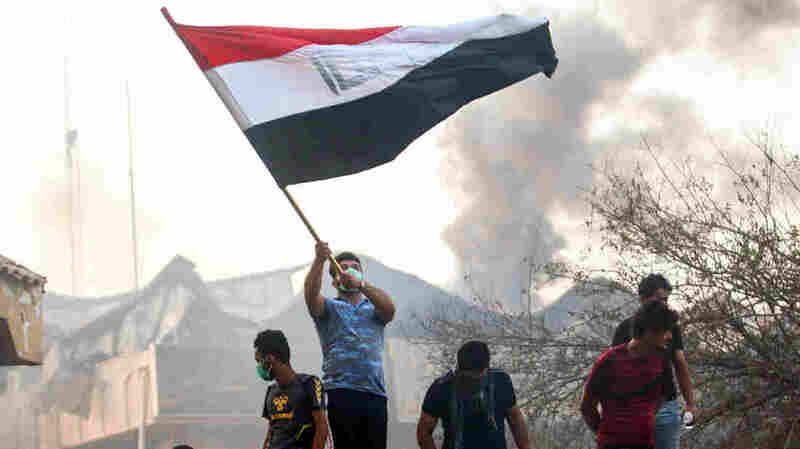 Earlier this month, protesters turned their rage on neighboring Iran, blaming its outsize influence on Iraq's political affairs for their misery. 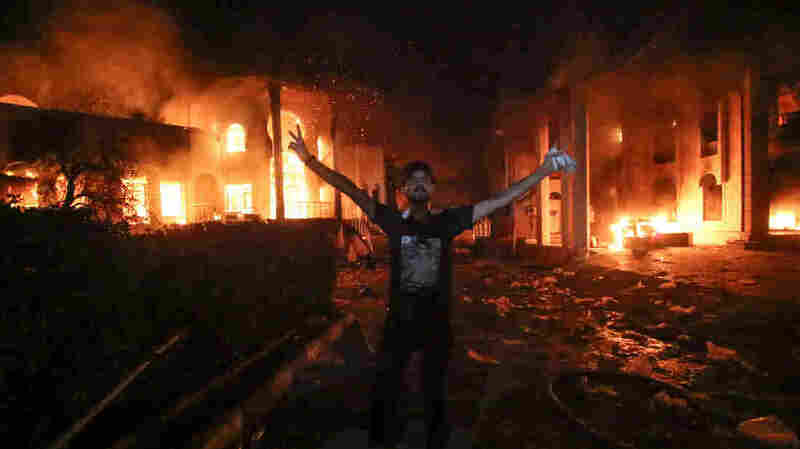 They stormed the Iranian Consulate and set it on fire, causing significant damage. Pompeo tweeted Tuesday that militias supported by Iran had launched the attacks, warning, "We'll hold Iran's regime accountable for any attack on our personnel or facilities, and respond swiftly and decisively in defense of American lives." "I have made clear that Iran should understand that the United States will respond promptly and appropriately to any such attacks," Pompeo added in the statement. "Iran's leaders sow chaos, death and destruction," Trump said. "They do not respect their neighbors or borders, or the sovereign rights of nations. Instead, Iran's leaders plunder the nation's resources to enrich themselves and to spread mayhem across the Middle East and far beyond."